Welcome to the second part of our two-part series on Handcrafted Soap and Cosmetic Packaging! 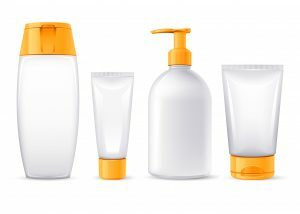 In this article, we will be discussing some of the different packaging opportunities available to those who make lotions, butters and scrubs. Just like with soap, there are many different options when it comes to packaging your cosmetics. Tubes, jars, bottles; the options for customization are nearly limitless! Choosing your shape, size and color wisely is very important, but it is also important to consider factors like whether the material could be recycled, whether it is sustainably and responsibly sourced, and how you will fill the packages with your product. You must also take into consideration how the product will look with your label on it. Whether you choose tubes, jars or bottles, you will likely have the decision between plastic or glass packaging. Today’s consumers are becoming more and more environmentally aware; for this reason, it’s important to know a few terms that can help you navigate the different materials at your disposal. 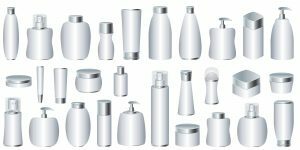 HDPE is one of the most common materials in cosmetic packaging. It is a very strong material, and is effectively moisture and chemical resistant. It is rated for exposure to temperatures ranging from -100ºF to 120ºF, making it more resistant to climate-related damages. HDPE is also easily recycled. Companies offer HDPE bottles in many different shapes and sizes, and with a variety of closures to really help you customize your final product. Much like HDPE, PET is lightweight and relatively durable. Temperature resistance for PET ranges from -40ºF to 120ºF, which lends resistance to climate damage. Unlike HDPE, which has a cloudy appearance, PET is clear like glass and comes in a wide variety of colors, from cobalt blue and amber to crystal clear. PET is also easy to recycle, making it an environmentally friendly packaging decision. Glass packaging can certainly make an impact on your customers. It is important to consider shipping when choosing glass packaging options; be sure to find a durable jar or bottle that will have a lower chance of breaking during shipment, or if a customer accidentally drops it in the shower or bathroom. Glass package is easy to recycle, and is also easy to refill if you offer discounted refills to your customers. So, you’ve chosen your packaging material-great! Now, you must decide whether you will order customized bottles, tubes or jars, or if you will order stock. What’s the difference? Custom packaging can really help your product to stand out. Silk screening and custom labeling will give you complete control over the entire look of your package-but is it worth it? There are a few considerations when you are looking at custom packaging. Most companies will require a minimum for a custom order; this number can range anywhere from 20 to 10,000 pieces. If you decide to continue with custom packaging, request a sample if possible so that you can be sure your container is exactly the way you’d like it; after all, you may end up with thousands of them. As an addendum to this potential issue, any changes in your company name, logo or ingredients may mean a complete reorder if you must change the packaging. Stock packaging is an easy way to order, and usually does not require ordering in very large quantities. Stock containers also have a quicker turnaround and shipping time, and can be easier to replace with a different company should your supplier discontinue carrying them. You can still customize a stock container with your own label and logo to really make it yours! Let’s talk for a moment about the importance of sustainable packaging. Your customers are looking for a quality product that is also environmentally friendly. There are a few ways you could accomplish this. As we discussed earlier, there are recyclable packaging options such as HDPE, PET, glass, etc. To encourage customers to recycle your products, educate them as they are checking out. Let them know that they can choose to recycle the package themselves, or they are welcome to bring it back to you to turn in when they return for a new product; offering an incentive like a discount on a new product will encourage them both to recycle, and to become repeat customers! Some packaging companies have started to offer PLA plastic (Polymerized Lactic Acid) containers in place of traditional plastic packaging. PLA is biodegradable and compostable and is made from corn or sugarcane. PLA containers are durable and offer a great alternative to less sustainable methods. The minimum order quantity for these containers is usually a bit higher than normal; for example, SKS Bottle & Packaging requires a minimum order of 50,000 pieces. PEFC certified wood packaging is also growing in popularity. PEFC (Programme for the Endorsement of Forest Certification) oversees and promotes sustainable forest solutions. 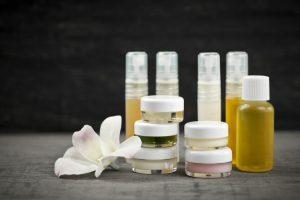 There are some packaging companies that offer wooden jar and bottle tops, or containers made for fragrances and perfumes. This packaging option is pricier than typical packaging solutions, however. How will you fill the container? Will this packaging fit your shipping needs? Is the packaging easy to display? Is the package large enough to hold a compliant label? Do you know how to sterilize your containers? When purchasing your containers, be sure to consider how you will fill them. Bottles and jars may be a bit easier to fill; if you prefer tubes, there are a few different ways you can go about filling them. If you are filling them by hand, some cosmetic makers find that a large syringe is an easy way to fill multiple tubes in quick succession. Others use recycled squeeze bottles such as large ketchup bottles. Whichever option you choose, make sure you have a plan for filling them; your package may be eye catching, but if it takes more time to fill it then a more standardized container, you are potentially wasting money. As discussed earlier in the glass section, be sure that you choose packaging that will hold up during shipping; if you are concerned about its durability, be sure to research a cushion for your products so that they arrive to your customer safe and sound. Tubes are easy to use; not as easy to display. Be sure to consider how you want to display your product if you are selling at a market or fair. Are you looking for a product that can stand on it’s own, or that is easily stackable? Thinking about how you will be storing and displaying your product in advance can save you a lot of frustration in the future! Be sure to check with your supplier to make sure your containers have already been sterilized prior to shipping. While containers may arrive clean, many will still need to go through a sterilization process before being suitable for cosmetic use. Taking this extra step will help you to ensure safety for your customers, and your business. Deciding on a package for your product can seem overwhelming, but as long as you have a plan going into the ordering process, you will cut down the time it takes to look for the perfect container. Know your goal, whether it is to have sustainable packaging or a fully customized container, be sure to visit several suppliers and be ready to ask questions to make sure you are getting exactly what you want. And, as always, make sure to include a compliant, easy to read label so that your customer knows exactly what they are purchasing. What is the most important quality you look for when searching for containers? We want to know! Comment below, or on our Facebook post for this article and tell us (or show us!) how you package your time. Good article! We have so much to consider when choosing packaging.